If you are like me, you probably enjoy the holidays because you can indulgence in some of your favorite treats that might only come around once a year. It is totally fine to do that – you have my permission, well, not that you need it, right? 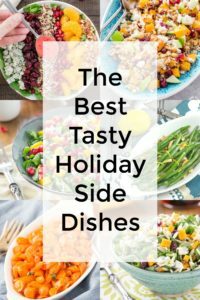 I admit that I have some favorite recipes I like to make and enjoy this time of year. Tis the season and all that but I also like to make sure I have some healthier food too. 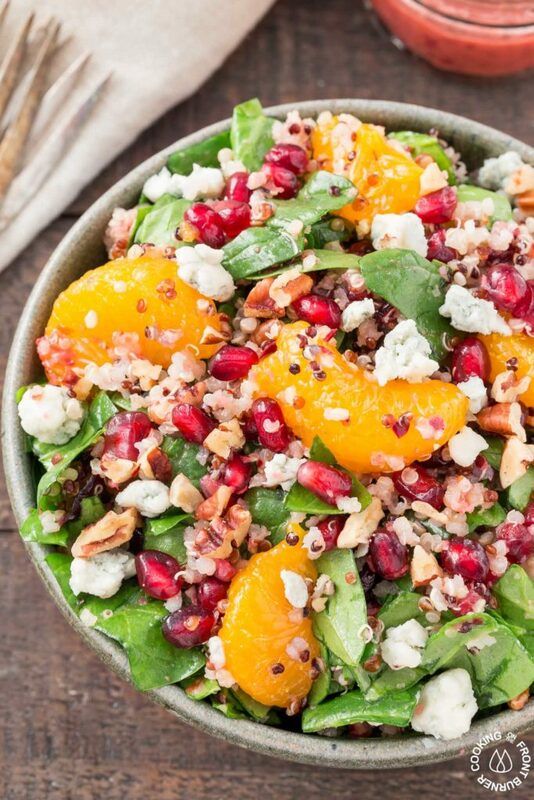 That is where this chopped spinach winter salad comes into play. 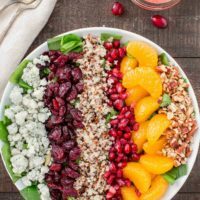 It is loaded with fresh spinach, vitamin packed quinoa, dried cranberries, sweet mandarin oranges, colorful pomegranate seeds, tangy blue cheese and a bit of crunch with some pecans. Did your taste buds just wake up? 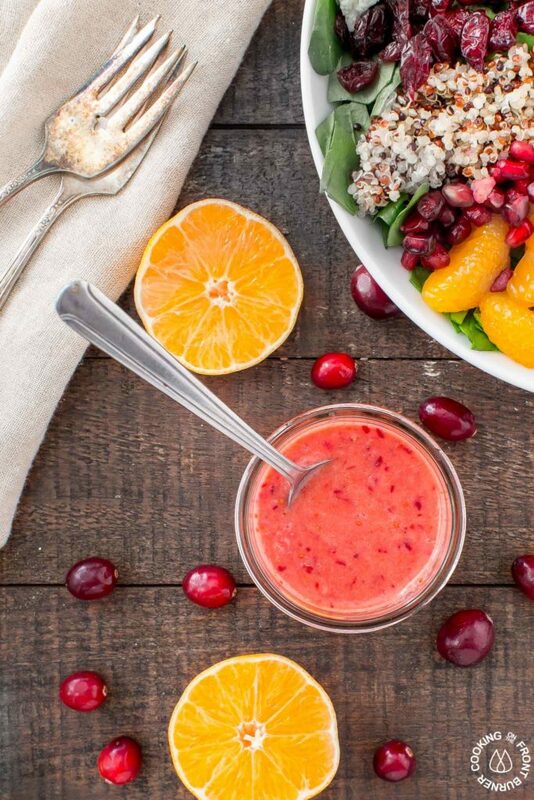 While all the ‘stuff’ in the salad is great, I especially love how it comes together with the fresh cranberry and orange vinaigrette. 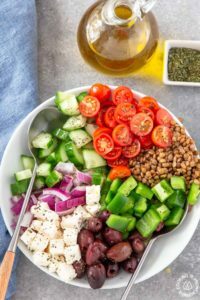 Those combo of ingredients are one of my favorites and it really adds some zippy-ness that definitely gets the attention of those taste buds. 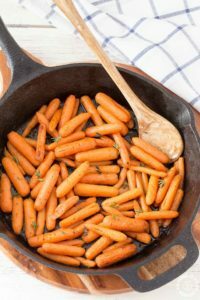 We enjoyed it as a side dish but just increase the ingredients and you will have a fantastic one dish meal! As with any salad, you can always change up the ingredients to your liking – about anything you want can be swapped. 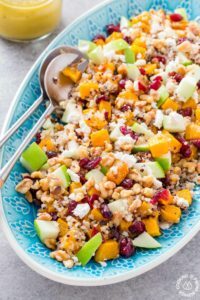 I have made some other salads we’ve enjoyed like this Crunchy Apple Salad with a Poppy Seed dressing and Fresh Fruit with Quinoa and Arugula – both are yummy! So remember to eat healthy so you can also enjoy your favorite treats! I really loved this dressing!! This salad looks perfect for the holidays – all my favorite ingredients. Thanks! Thanks Grace! Hope you have a Merry Christmas and we need to get together again soon!! Oh that dressing sounds superb. 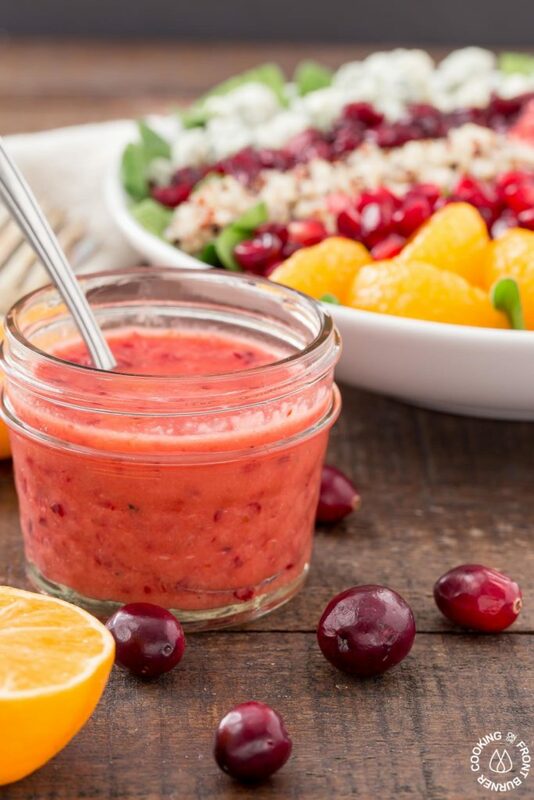 I need to add cranberries to my grocery list this week. 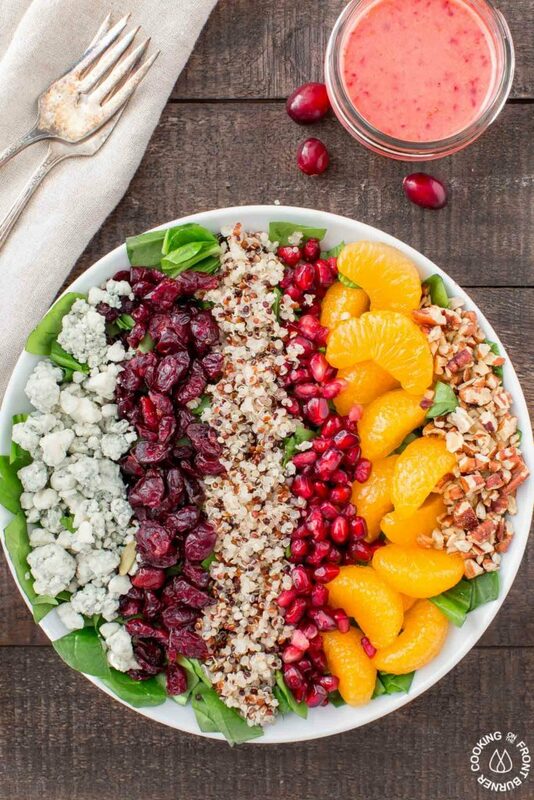 The colors in this salad are fabulous!! so pretty!! Made a slightly different salad with this dressing. So delicious and I love that it had fresh cranberries in it! 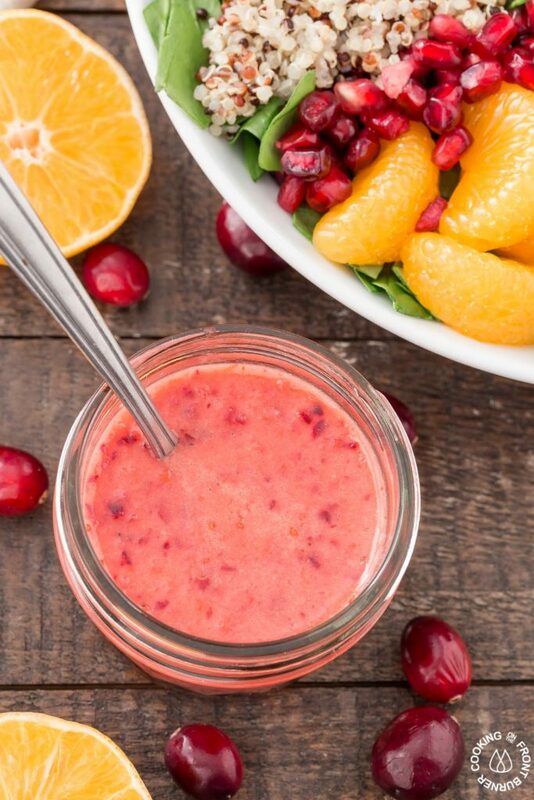 My whole family loved the vinaigrette as well as its colour, I halved the honey and we found it perfectly sweet. Thanks for the recipe!